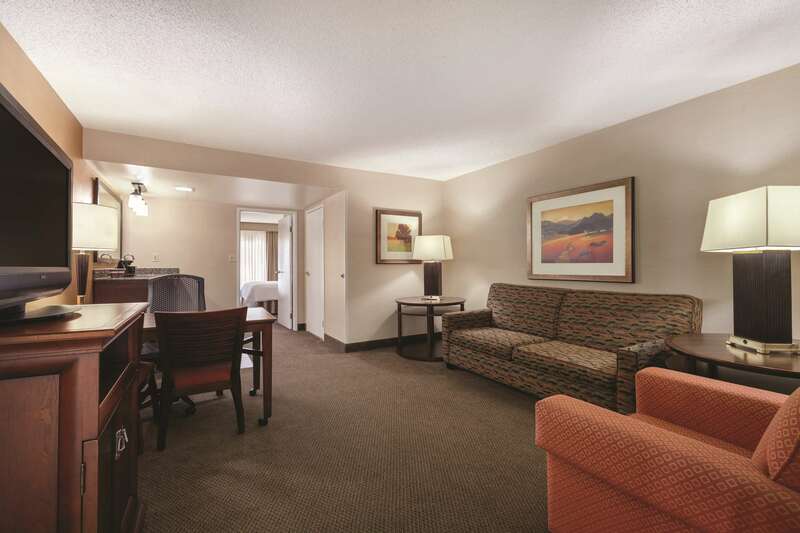 The Embassy Suites Milpitas - Silicon Valley hotel is conveniently located near downtown San Jose, San Jose Airport (SJC), HP Pavilion, Santa Clara, Fremont and Newark. 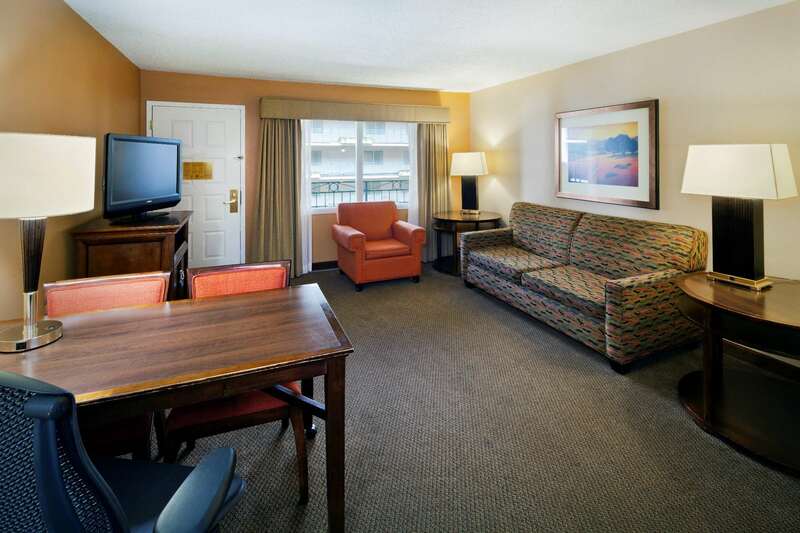 The location is perfect for visitors to Silicon Valley – Sunnyvale and Mountain View are just a short drive away.At our all-suite hotel, every room has a separate living room and bedroom, each featuring two 37-inch HDTVs, a sofa bed, work and dining table, refrigerator and microwave. Start every day with a complimentary cooked-to-order breakfast, and end the day with complimentary drinks at the Evening Reception* set among the lush palm trees of the tropical atrium with its koi fish pond. 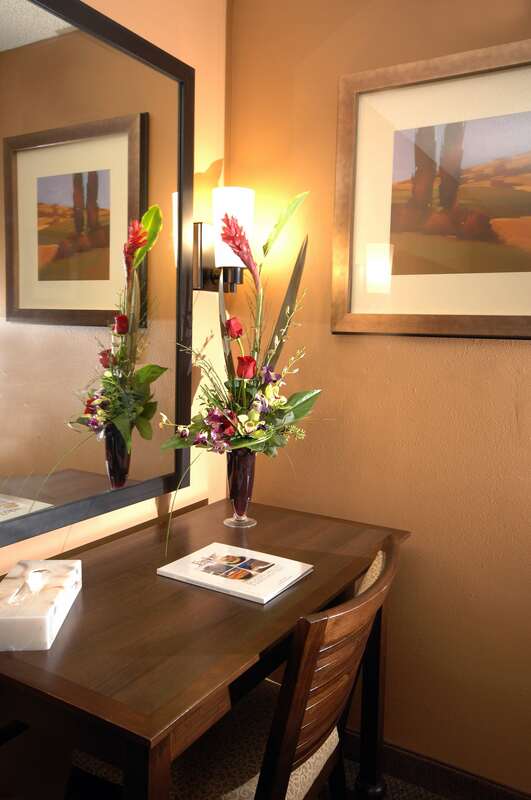 Work out in the 24-hour fitness center or enjoy a relaxing swim in the tropical indoor pool with a whirlpool.We aim to make your stay as comfortable and convenient as possible, so take advantage of the complimentary shuttle service to and from San Jose Airport and locations within five miles of our Milpitas hotel.Stay connected with wired and wireless internet access and the 24-hour BusinessLink™ business center, including a service that enables you to print documents from the comfort of your suite. 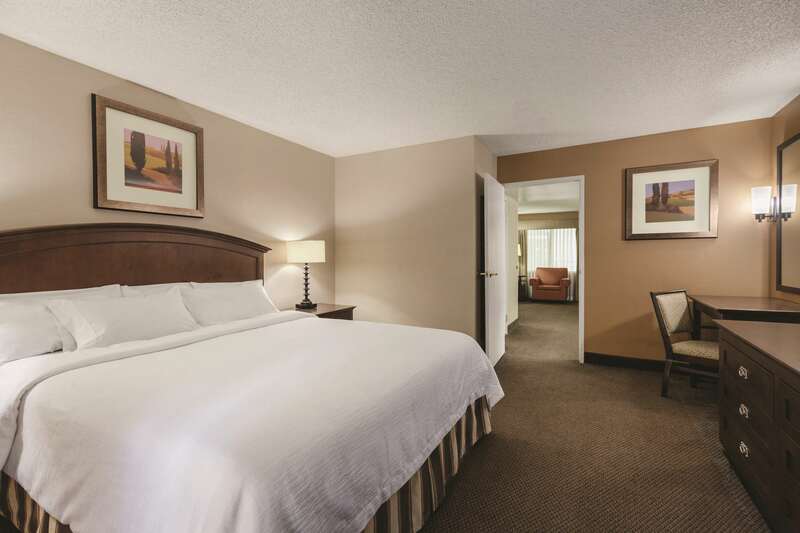 Our hotel offers business guests great meeting room space, and the Meetings Simplified™ package enables you to plan your meetings quickly and easily with all guest requirements met by our helpful and attentive staff.